Universal Graphics has been producing Scientific Posters for more than 25 years for a variety of clients. 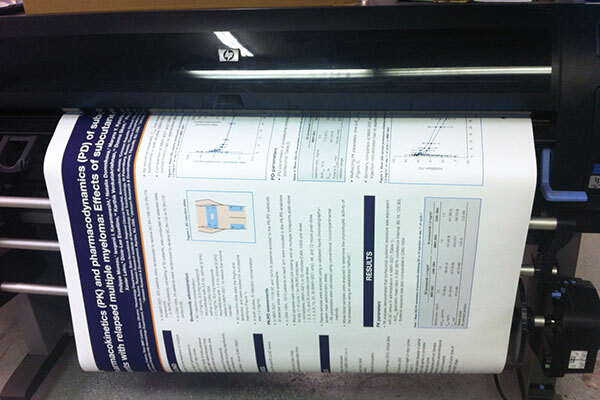 We provide setup, templates, printing, and handouts – we are your Scientific Poster partner. We work from a variety of sources for data content such as PowerPoint and Word. Our team can create templates based on specifications for layout and sizing (which vary by congress/meeting). Our in-house staff can create or edit charts, tables, and graphics/images. PDF proofs will be provided for approval. Universal will print your posters, handouts, and schedules and then ship all materials to your congress/travel location as needed.